ContainerTag.js is the PUP that uses misleading techniques to prevent removal. Use Reimage to locate malicious components and get rid of them faster than with uninstall instructions. A full system scan blocks virus reappearance and prevents traffic to malicious domains. Why do I keep getting "Do you want to open or save Containertag.js" message while browsing the Internet? How did I get infected with ContainerTag.js malware? How can I remove ContainerTag.js pop-ups from my browsers? Why do I keep getting “Do you want to open or save Containertag.js” message while browsing the Internet? 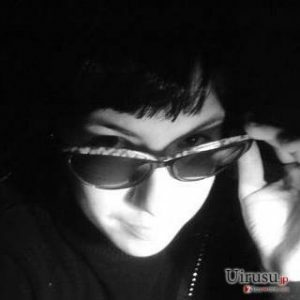 Containertag.js virus usually sends annoying banners to the computer user when he/she visits a particular website online. There are a few domains that reportedly associated with these ads. 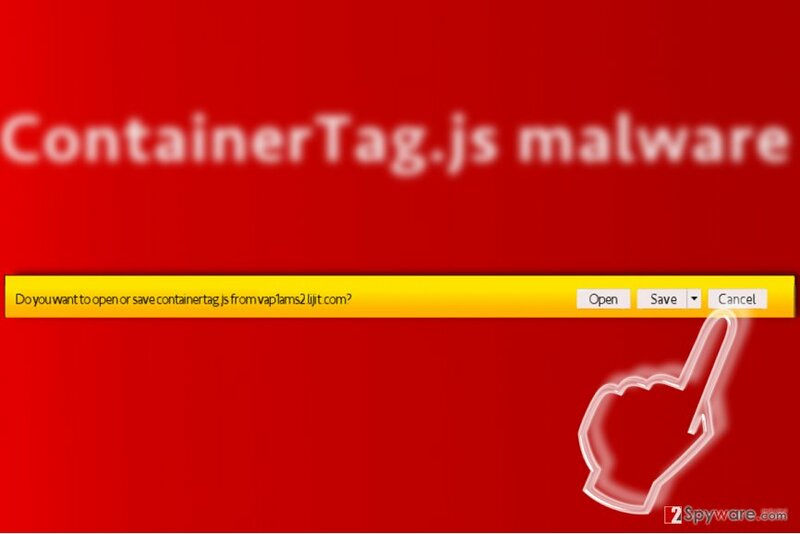 Usually, victims get alerts that ask “What to do with containertag.js, from[domain name]?” for example, “Do you want to open or save containertag.js from vap1ams2.lijit.com?” and similar. The message provides three options – Open, Save, or Cancel, however, even if the victim clicks on Cancel option, the pop-up reappears again later on. It seems that this issue has been bothering a lot of computer users for a while now, so we decided to take a closer look at this problem and find a way to remove containertag.js pop-up ads for good. The first thing that we have discovered is that this problem can start bothering IE, Microsoft Edge, Mozilla Firefox and Google Chrome users. 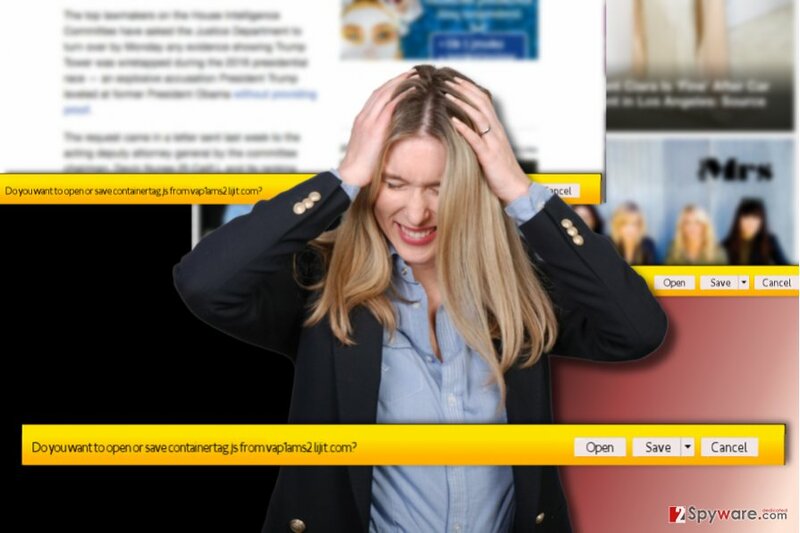 As long as ContainerTag.js malware stays in the computer system, such and similar banners will continue to appear when visiting random Internet websites. Close ContainerTag.js instead of saving or opening it! If you are ready to remove ContainerTag.js virus, you have to find out whether these pop-ups are caused by suspicious third-party programs or are they delivered by websites that you visit. We highly suggest running Reimage software to scan your system and find out whether some suspicious elements send these pop-ups to you. The anti-spyware program can easily take care of ContainerTag.js removal and save you some time, however, if you are sure that it cannot fix the problem, follow instructions provided below. Push Windows Key + R to open Run prompt. Type in: %SystemRoot%\system32\drivers\etc\ and click OK.
You will find hosts file there. Open it with a text editor, for example, Notepad. ^ What to do with containertag.js from vap1sjc1.lijit.com?. Microsoft Community. A Free Community and Discussion Forum for Asking and Answering Questions about using Your Microsoft Products. ^ How to Block Websites By Editing the HOSTS File in Windows. Guiding Tech. Insightful and Useful Stories on Tech, Science, Culture. This entry was posted on 2017-03-13 at 05:21 and is filed under Malware, Viruses. You can quickly scan the QR code with your mobile device and have ContainerTag.js virus manual removal instructions right in your pocket. How did you remove ContainerTag.js virus?